(NaturalNews) Sadly, what often passes for "science" today in the world of health is little more than "Scientism" -- a dangerous cult founded on irrational dogma and faith-based beliefs in faulty, fraudulent ideas being paraded as science. A common trait that weaves its way through every topic of "Scientism" is corporate profits. Any time something is being pushed with aggressive demands of "SCIENCE!" that also happens to enrich wealthy corporations, it's probably based on fraud, not real science. Perpetrators of fraudulent scientism include Paul Offit, Dr. David Gorski, Monsanto pal Bill Nye, discredited biotech shill and former Forbes.com writer Jon Entine and too many others to even name. In this HealthRangerReport.com podcast, I explain the truth about the Cult of Scientism, sometimes called the "Church of Scientific Mysticism." This cult currently dominates the "official" dogma concerning vaccines, GMOs, fluoride, cancer, diabetes, pharmaceuticals, biosludge and more. 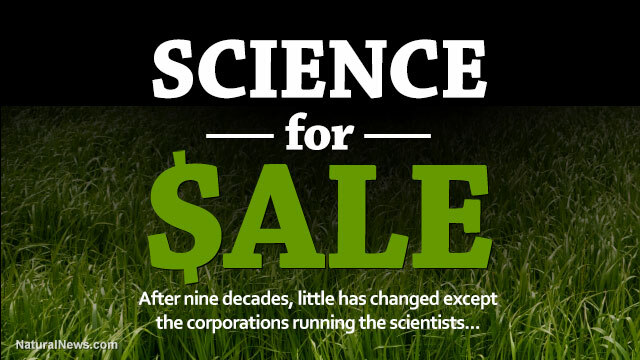 Highly recommended reading: Science for Sale by Dr. David Lewis.